Voted Paragould's Favorite Place to Buy Flooring & Carpet by Paragould Daily Press' Reader's Choice Awards! At Warehouse Flooring, we're here to help you take the guess work out of picking the perfect floor for your home or office. Our staff is ready to assist you with finding the right color, pattern, material and style that suits your personal taste. Since 1994, we have been northeast Arkansas, central Arkansas and southeast Missouri's one-stop shop for all home and office flooring needs! We have a large selection of quality products in stock in our showroom. Not only do we offer great products, but we also provide professional installation, remodeling and new construction too! So if you're looking to change a bathroom or add a backsplash to your kitchen, we can do it! 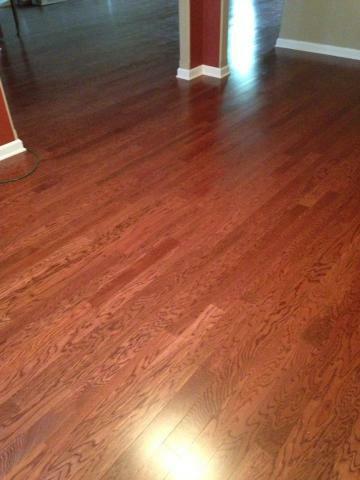 So leave it to Warehouse Flooring to outfit your home or office with quality flooring products and designs!